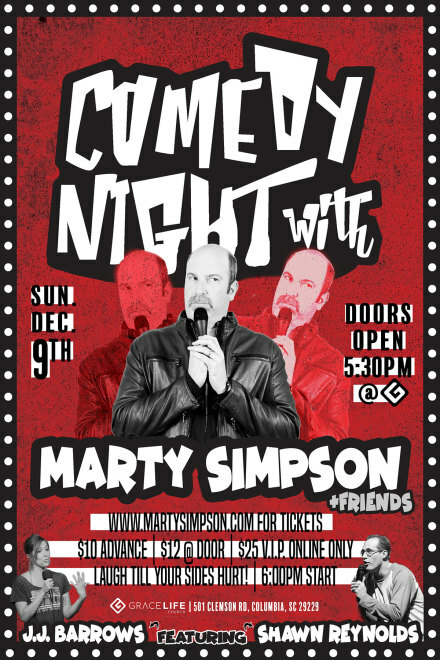 Marty Simpson returns to Columbia for the first time in 2 years! This time he is joined by some of his hilarious friends, Shawn Reynolds and J.J. Barrows! This is a show you won't want to miss. Join us for an amazing night of gut-busting laughs! Doors open at 5:30pm and Show begins at 6:00pm!